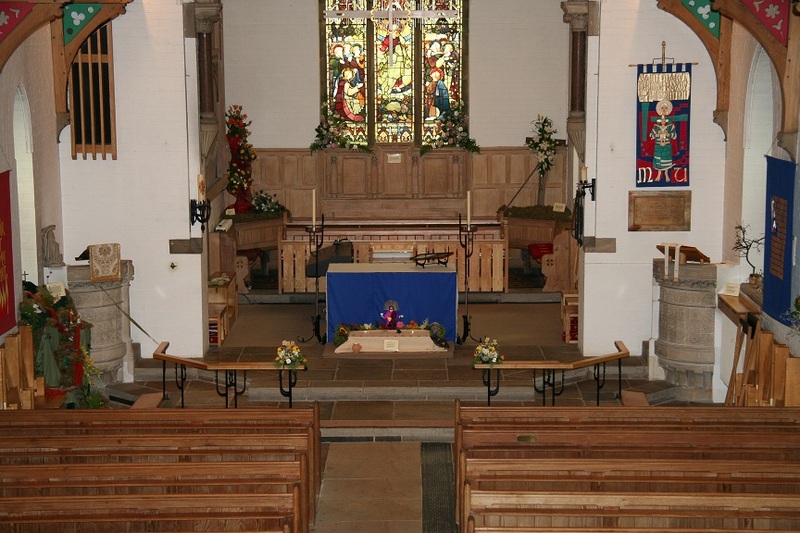 Flowers in St Mary's Church, Haxby - information and images below. 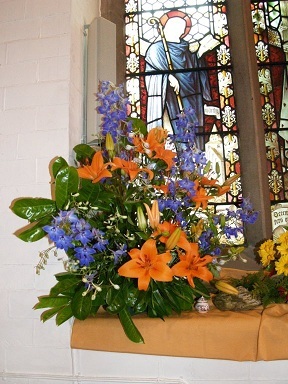 ‘Consider the lilies, how they grow,’ and how lovely it is to have flowers in St. Mary’s week by week. 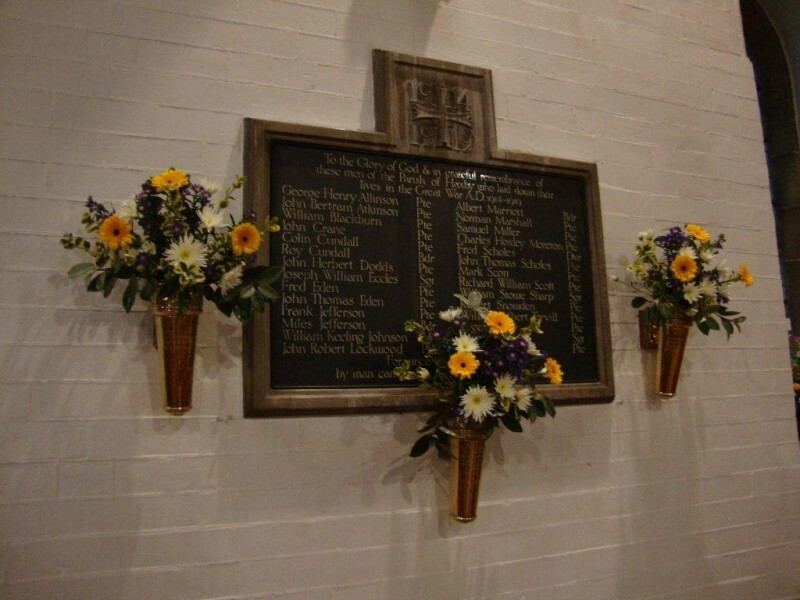 The Flower Group is a team of willing and committed skilful volunteers. 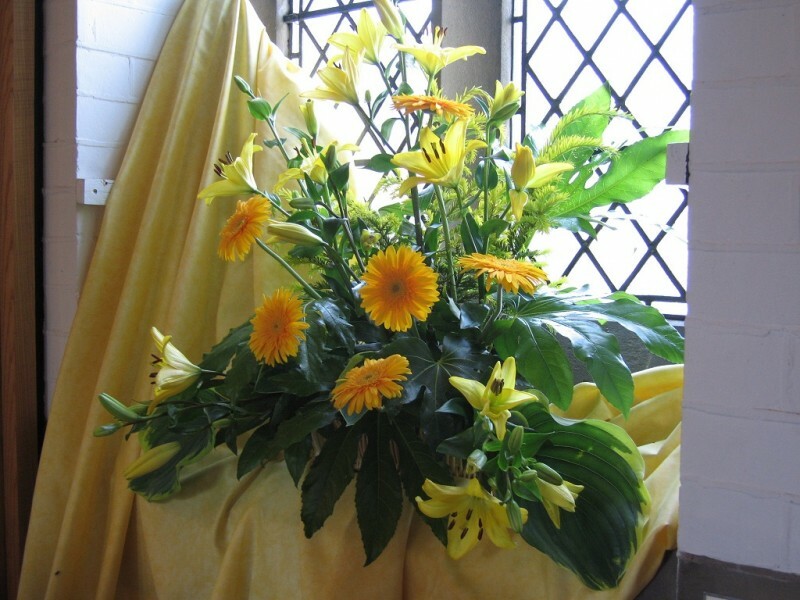 They mostly work in pairs, with each pair allocated a two-week slot when they arrange flowers of their own choice or appropriate to the season of the church’s year. 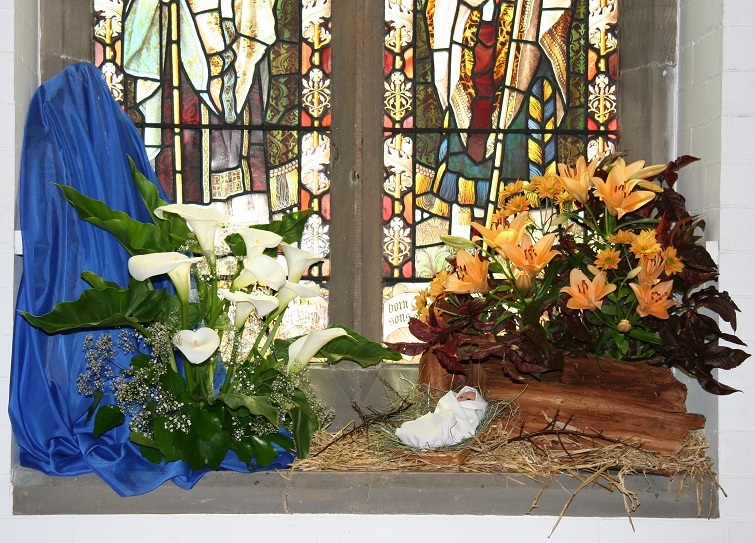 This gives us a variety of colours and styles throughout the year, except during Advent and Lent, when there are traditionally no flowers in church. 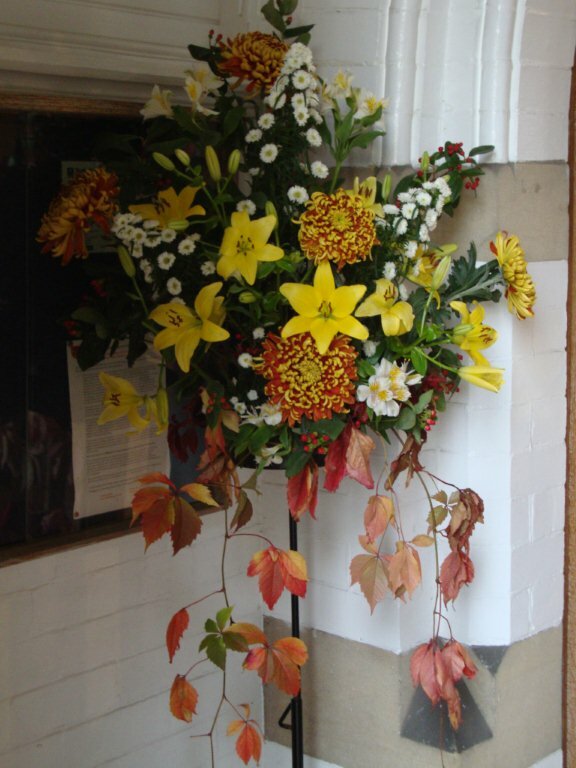 At Christmas, Easter, and Harvest the entire group works together to decorate the church and in the spring makes posies for Mothering Sunday with members of the Mothers’ Union. The group currently comprises twelve ladies, though is always willing to welcome newcomers, including gentlemen. No experience is necessary, just a love of flowers and boundless enthusiasm, as we all help each other. 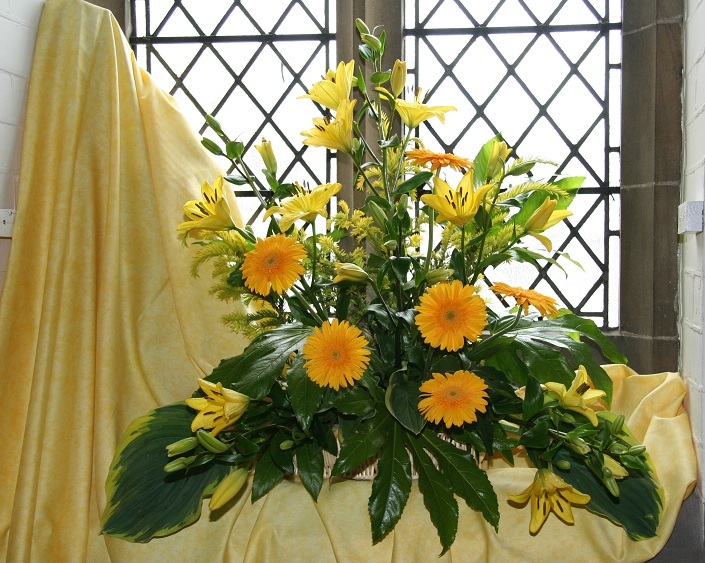 Flowers can be arranged for a wedding. 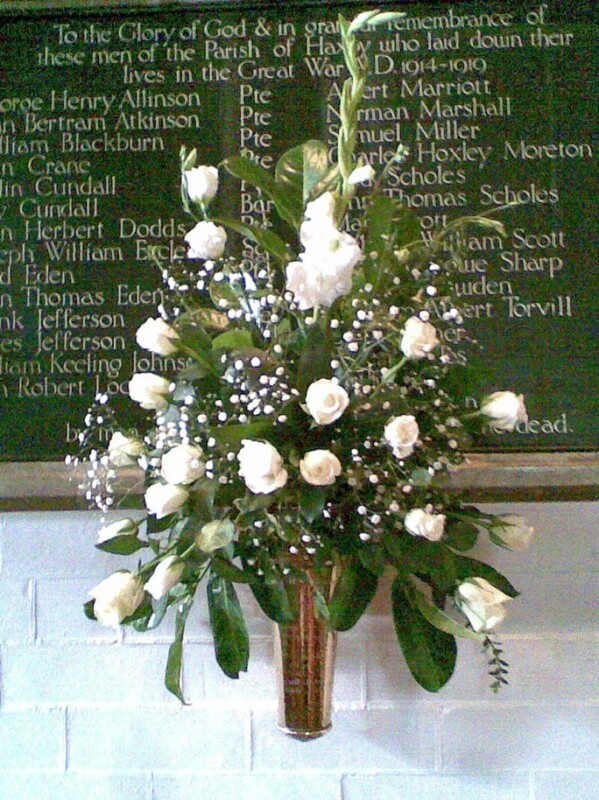 The fee is currently £65 and for that a pedestal arrangement will be placed by the altar and flowers arranged in one of the memorial vases. These are usually of white or cream flowers, although other colours may be included to reflect the colours of the bridal party. 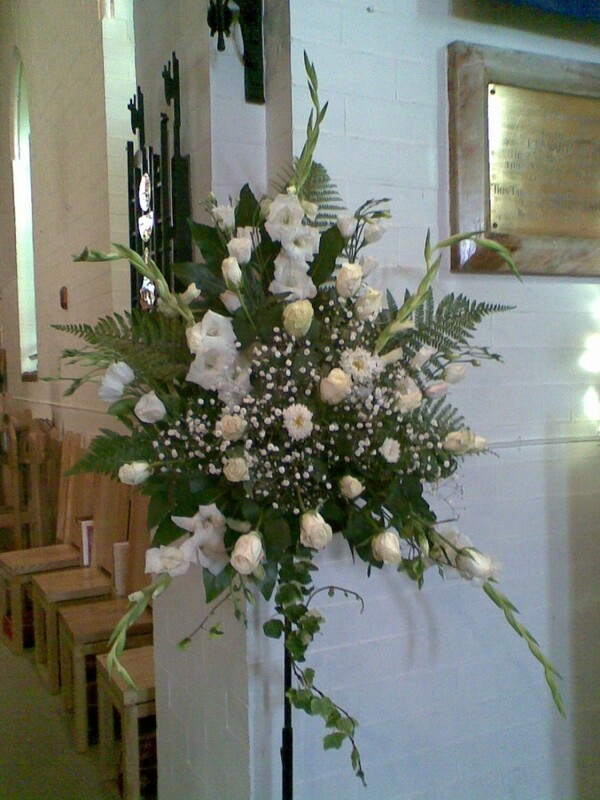 Flowers can also be arranged to remember a loved one or celebrate a special event, such as a birthday or anniversary. 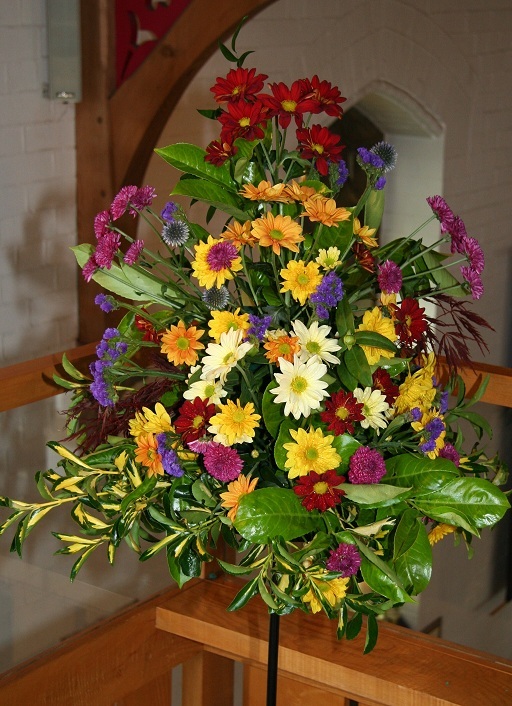 These and the weekly flowers are paid for by donations, which are gratefully received.